The inscription in the workshop (subject to selection) is made by the dully filled application form and by enclosing a detailed and updated curriculum vitae and a motivation letter. You can send all the documentation by e-mail for info@tarumba.org or projectofunicular@gmail.com. 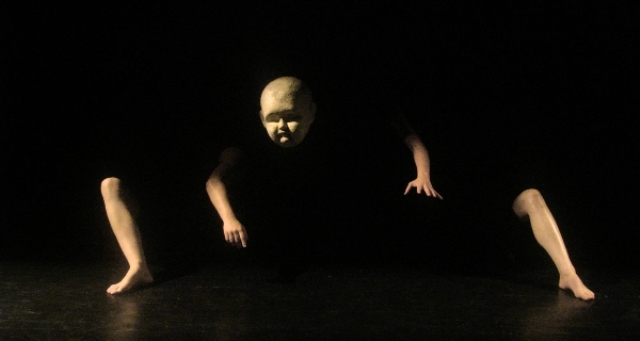 Body, Puppet and Manipulation – Human Body – Human Doll: a workshop on the movement and manipulation, with the material “human being”, about the unknown in what we all well know. The specific working process of theatre with puppets or materials always starts from a material or object, for example, clay or plastic. This will be examined through Improvisation, how it can be animated and manipulated to make the audience think it is alive. Out of these improvisations with different materials, figures, pictures, movements arise. An own theatrical speech develops. In this workshop the human body itself will be the object of determination. It will be estimated to be a “puppet“ that will be animated and manipulated. Many persons move one person, give him impulses, borrow their speech and their thoughts. The mystery of movement will be determined, do I move myself, or am I moved by someone or something? This workshop will give an insight in the theatrical approach from Meinhardt & Krauss. “We will animate each others bodies, as if we were puppets, with sticks, strings, directly… but we will also lent parts of our bodies to different dolls”. In 2003, Iris Meinhardt, Michael Krauss and Thorsten Meinhardt, founded the company Meinhardt & Krauss. Their performances are not easy, characterized by their uniqueness and for a great technical and aesthetic care, moving between theatre, cinema, new technologies and original music composition. Their productions have been presented at various international festivals and they have won several awards. Iris Meinhardt studied puppetry at the University of Music and Performing Arts Stuttgart. 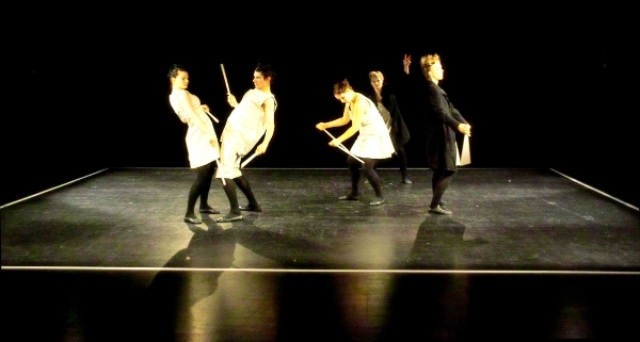 Three years before graduating, she premiered internationally the show “Bing”, a solo with projections and text by Samuel Beckett, affirming herself soon as a new and distinct voice in the contemporary puppet theatre, by combining singular choreographic and cinematographic elements, among other characteristics. Iris preferred techniques are the video projection and object theatre. Her works are a mixture of manipulation, dance and new technologies. The result falls between the performing arts and installation art. In each creation she explores the possibilities of staging her own body and develops a very personal artistic research. ★ PROJECTO FUNICULAR ★ Um projecto de formação do A Training Project of CAMa – Centro de Artes da Marioneta / A Tarumba.